Introducing the Recruit! 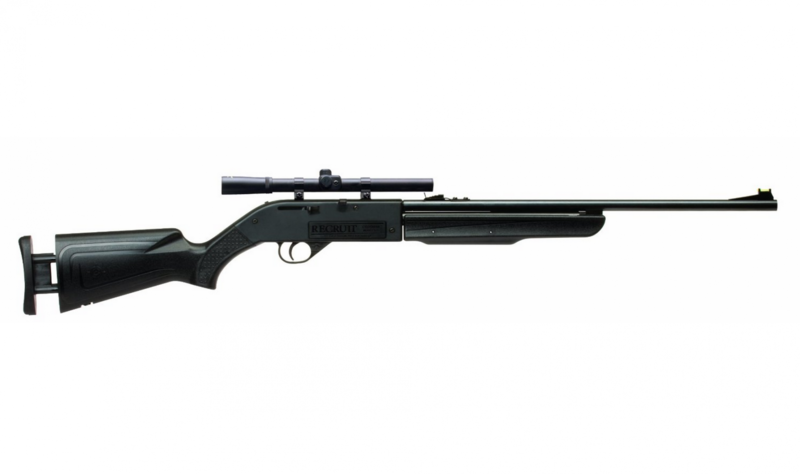 Based on our tried and true 66 platform the Recruit features an adjustable stock for folks from 4 to 6 feet tall. This allows for a customizable length of pull for the individual shooter. It also allows young shooters to grow with the gun. The Recruit is available in .177 caliber and has velocities up to 680 fps. It works with both BBs and pellets. 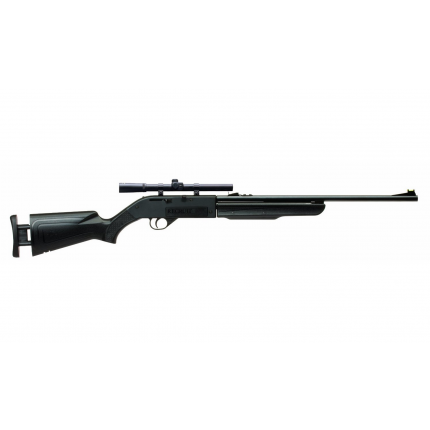 Caliber: 0.177, Velocity: 680.00 ft/sec, Warranty: One year limited warranty, Adjustable Stock, 4x15 Scope.